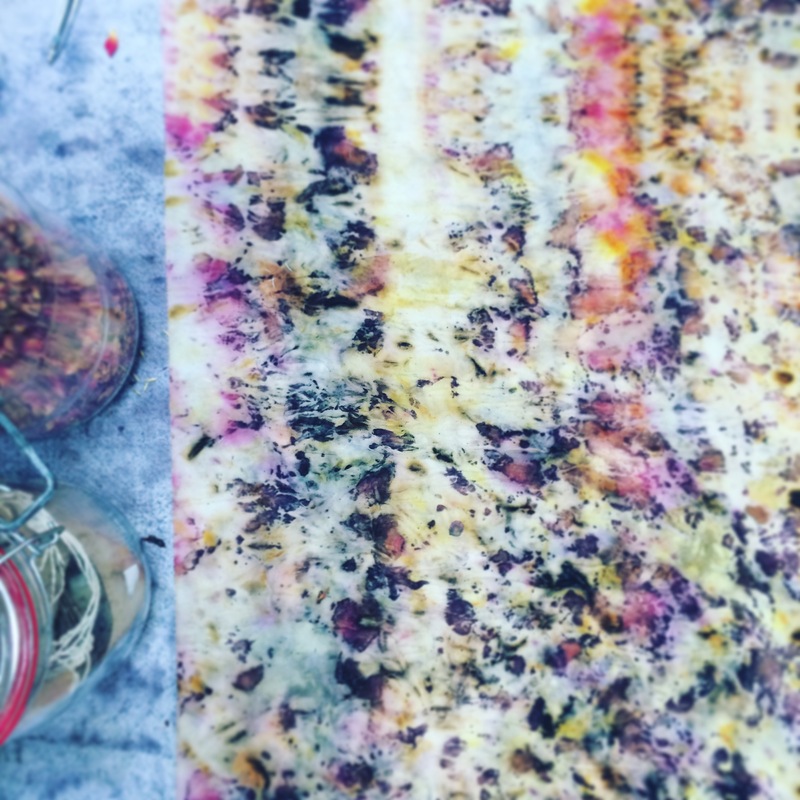 Perfect summer weather for workshops this year and our summer programme continues with a special guest, Babs Behan, all the way from Bristol to host a natural textile dyeing workshop here at Mayfield Flowers on 18th August showing a different way to use our natural flowers. 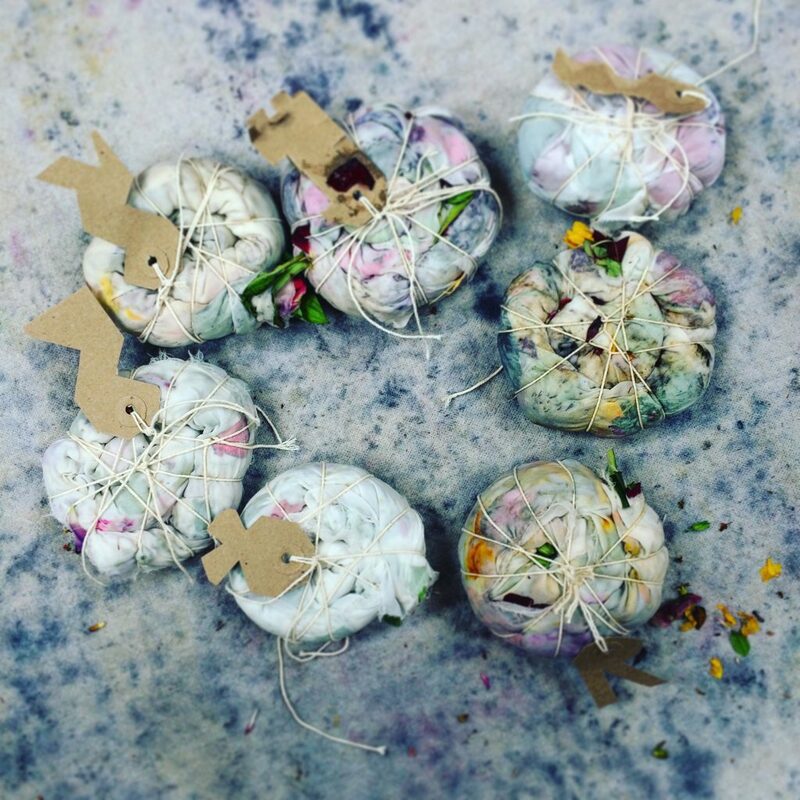 Babs founded the artisan natural dye studio Botanical Inks and is sought after around the world now with workshops as far away as California. So a wee trip up to Scotland to see us feels a real privilege and when you know that the ethos of Botanical Inks fits so well with our aims at Mayfield Flowers, it is a workshop I am very much looking forward to. Botanical Inks “uses only organic and locally foraged materials throughout the entire plant to print design journey. We are proud to use no toxic synthetically produced chemicals whatsoever”. Over the day participants will be exploring the natural dyeing potential of flowers that they have cut at Mayfield Flowers using a bundle dyeing technique onto silk. 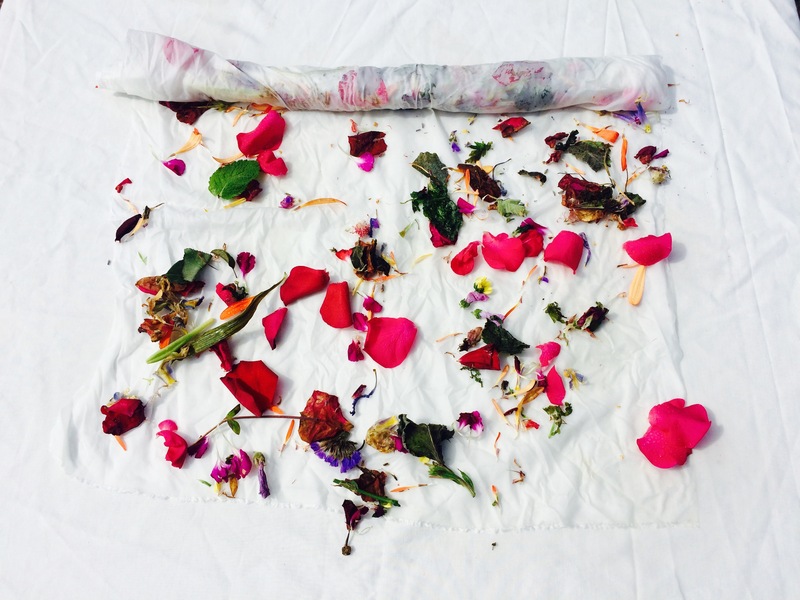 Along with gaining a new skill which you can repeat again and again for yourself, you will learn about intuitive herbalism, plant symbolism, natural dyeing, responsible foraging for local dyes and mordants, ceremonial textiles, and you will take away with you a beautifully natural dye printed silk cloth. All materials are included and provided, including a 50 x 140cm length of organic British grown haboutai silk. Babs has published a book this year called Botanical Inks and will bring signed copies of her book to purchase for those that want to continue to develop their interest in this beautiful art.